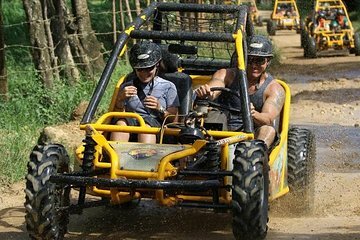 Get far off the beaten path in Punta Cana with this all-terrain vehicle tour via dune buggy. With a guide in the lead, even beginner drivers will feel safe and comfortable maneuvering the buggies after a short lesson. See the interior of the island, complete with coffee and cocoa plantations, on the way to the peaceful Macao Beach for a refreshing stop.